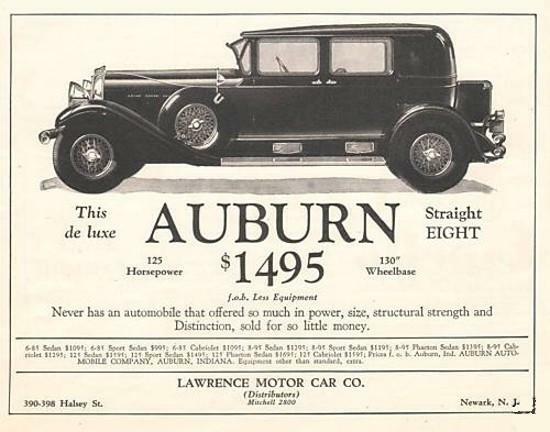 From humble beginnings as a carriage maker, the Auburn Automobile Company would rise to become a premier luxury and performance car maker over the first three decades of the twentieth century. The flagship Auburn Speedster would become the definition of Art Deco style and incredible performance just as the nation collapsed into the Great Depression heading into the 1930s. All of the Auburn style and sizzle of the late twenties, actually emerged from building practical and affordable cars for many years ealier. 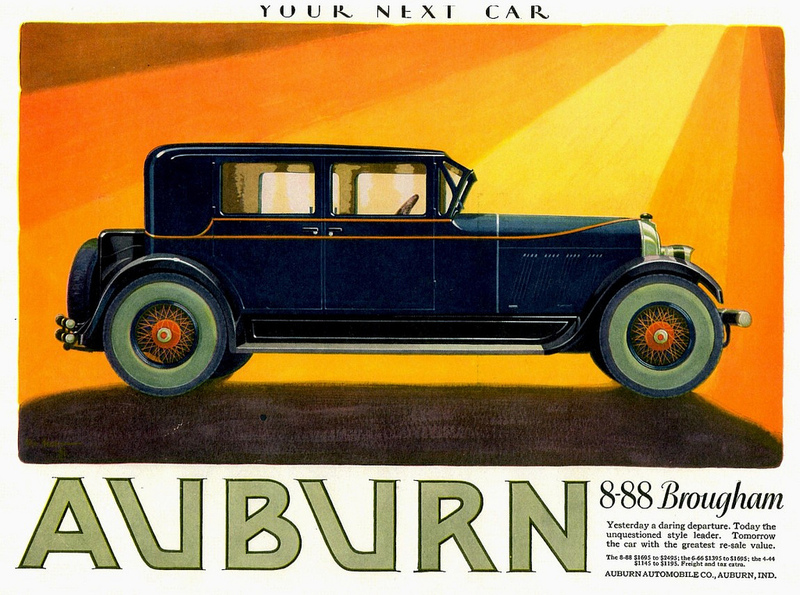 The Auburn was marketed as inexpensive and reliable for decades as the company repeatedly changed hands. The company continued to develop new models decades before the now famous Speedster and Salon models ever appeared. It was through those early business dealings and after the formative years that Deusenberg automobiles crossed paths with Auburn and Cord, creating some of the most beloved and collectible cars ever produced. During an era that many automakers would rise and fall, precious few of them ever achieved the status of the Auburn cars. 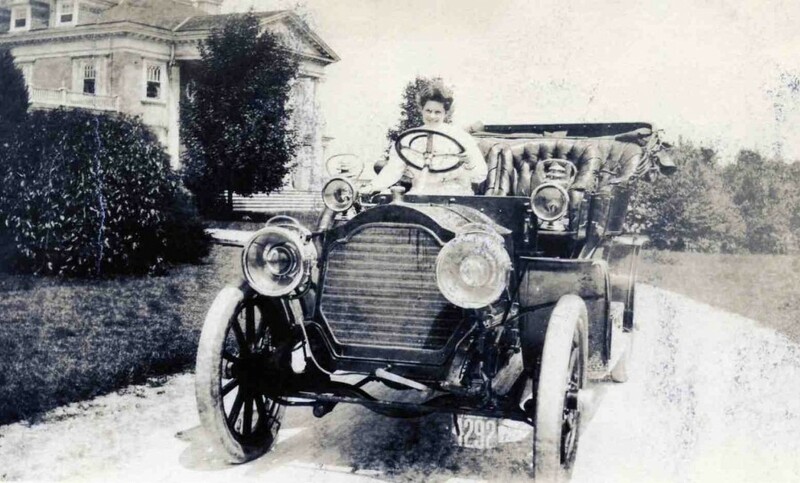 In the beginning though (1903), the plucky single cylinder runabout would set you back a whopping $800, and was little more than a love seat with a steering wheel. That $800 would get you motoring down the road complete with brass lamps and a signal horn. A humble start, that would be the launch pad for a marque that would add models, cylinders and luxury continually until the last car rolled off the line in 1936. 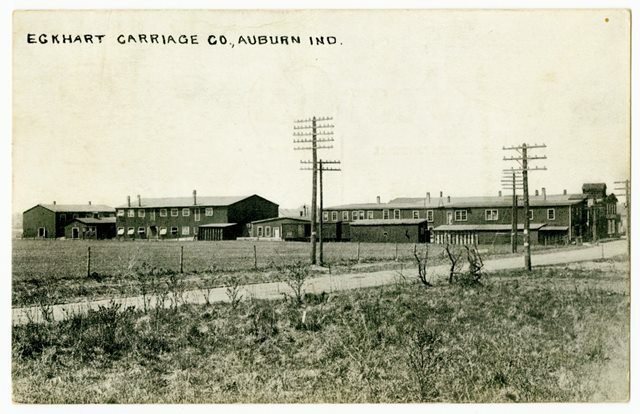 Over those three decades, the Auburn, Indiana manufacturer would expand operations to include engine manufacturing, coach building and more for multiple brands including the legendary Deusenberg and Cord automobile marques. In the peak years of the company, you could buy a truly gigantic 125 horsepower eight cylinder luxury car for about $1,500, which was indeed a value for such an offering at that time. 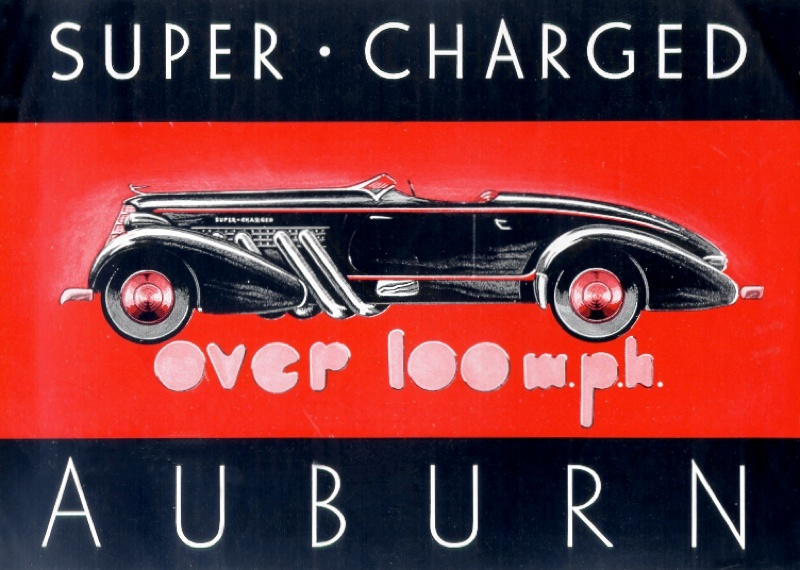 Auburns weren’t just about luxury though, their name was synonymous with high-style and powerful Roadsters and Speedsters as well. The sports car model as we know it wasn’t quite settled in thirties, and Auburns lineup of straight eight athletes certainly cemented the concept of the sports car segment, offering options like high compression heads on their already powerful eight cylinder engines and even a V-12 option with 160 horsepower at one point. Wild Supercharger options even creeped into the lineup nearer to the end of production. Auburn had firmly positioned itself as an industry leader in performance and luxury, particularly as a ‘value’ in those segments. The thirties were cruel to the automakers, though. Being a leader in an upsell segment just couldn’t weather the storm. Virtually all of the automobile manufacturers from the boom in the teens and twenties would fall, crushed by the financial avalanche of the Great Depression. Having hopped around and changing hands several times in the life of the company, even E.L. Cord’s magic touch couldn’t sustain Auburn through the thirties. 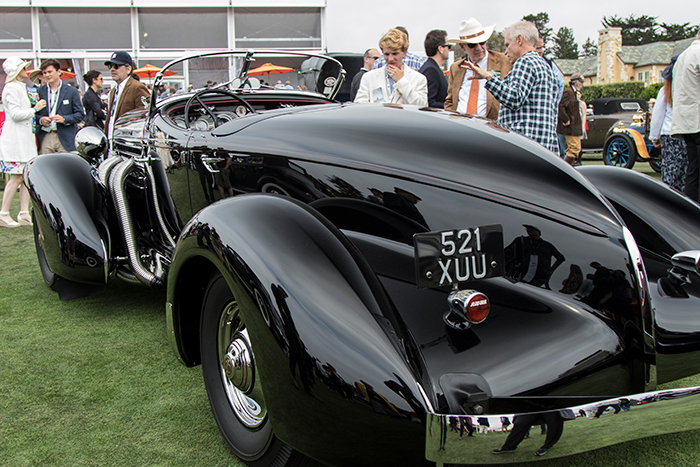 By 1937, it was all over for Auburn, Deusenberg and Cord cars, leaving the world with only these automotive treasures to remind us of the wild style and luxury of the late twenties and early thirties. It was a fearless era in automobile manufacturing that would change the industry forever before the economic collapse interrupted. Charles Eckhart founded the Eckhart Carriage Company in Auburn, Indiana. 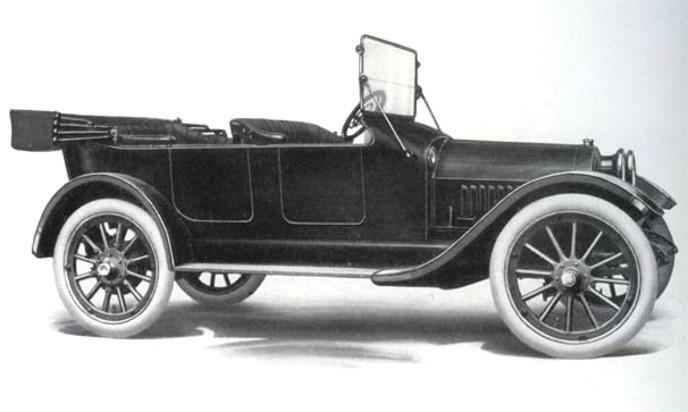 Auburn Automobile Company Founded by Frank and Morris Eckhart in Auburn, Indiana. Speedster Model Drops from lineu for one year. Series 12-160A Custom Boattail Speedster equipped with 160 hp Lycoming V-12 engine.